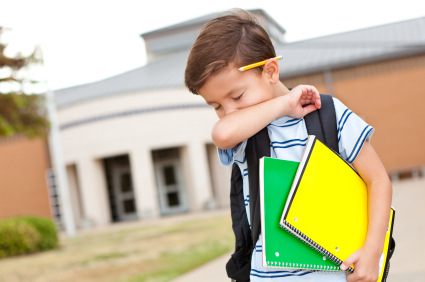 With summer coming to an end, kids are going back to school….and we all know what that means, GERMS! First your little one comes home with a snotty nose, then mom gets it, then dad. It’s a family affair! There are several things that I recommend families in my practice do when trying to stay healthy throughout the school year. Here are my top 3 tips. Research now shows that sleep directly affects the immune system. When we sleep, our body creates and releases certain disease fighting substances. Our bodies needs these hormones, proteins, and chemicals to fight off disease and infection. Sleep deprivation decreases the availability of these substances and leaves us more susceptible to viruses and bacteria. If we are sleep deprived and become sick, we will stay sick for a longer period of time because our bodies lack the resources to fight off the bad guys! Vitamin D plays a HUGE role in your health, influencing nearly 3,000 of your genes and playing critical role in your immune response. Vitamin D is being called a “miracle nutrient” for your immune system because it enables your body to produce over 200 anti-microbial peptides (these peptides help to fight a wide range of infections)! In fact, a recent Japanese study showed that school children taking vitamin D3 supplements were 58% less likely to catch the flu. I recommend that all members of the family take a daily D3 supplement. My favorite brand is the liquid D3 drops from Innate Choice. Innate Choice is a quality, affordable brand developed by a fellow chiropractor, scientist, and nutrition expert, Dr. James Chestnut. My husband and I have been taking this for years to keep healthy! The nervous system controls every system in our bodies including our immune system. When the spine is misaligned, it places stress on our nervous system and our immune system is weakened. Research shows that chiropractic adjustments increase white blood cell counts and boost overall immune function by 200%. In order for us to be as healthy as possible, we need regular chiropractic adjustments to ensure that our body is functioning optimally.